It's hard to pick a favorite decade of fashion, but if I had to, it would definitely be the '60s. This fall I'm coveting mod dresses more than ever -- shift shapes, pop colors, graphic prints and cute little details like bows and peter pan collars. i love that mustard dress up the top - i'm obsessed with that colour now! 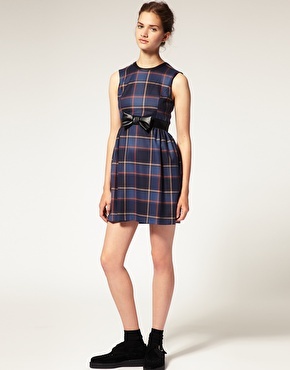 oh and modcloth is always gorgeous!